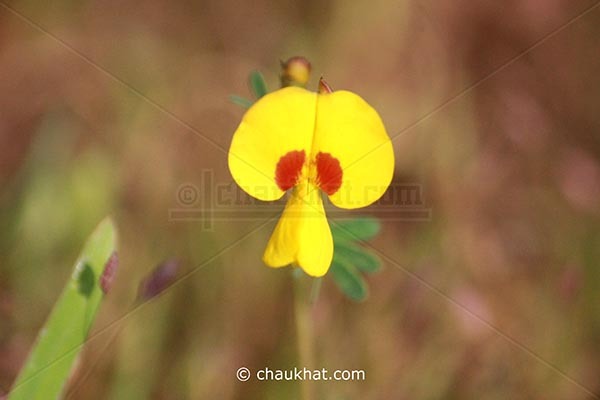 Bristly Smithia is a small flower that is found in the western ghats during the month of October. When Bristly Smithia blooms, it spreads itself in abundance. You can see huge patches of land covered by Bristly Smithia in October. Bristly Smithia is actually a herb! The flowers are just about 1½ or 2 centimeters in size!! Beaitiful yellow flower. we have the same flower here.. ithink that is Lotus..
@ Dejemonos sorprender: I'd like to see :) It may not be lotus as there's quite a huge difference between a lotus and a bristly smithia.